Chances are good you’ve been to or heard of a restaurant serving a Western bbq Burger. 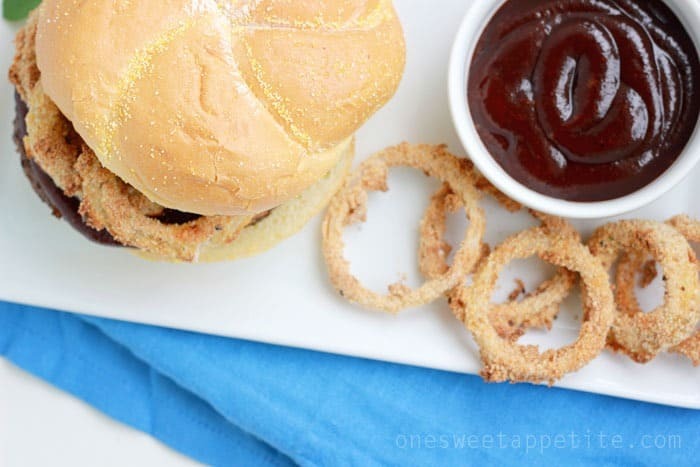 Something about the crunch onion rings mixed with the sweet and slightly tangy barbecue sauce is amazing. 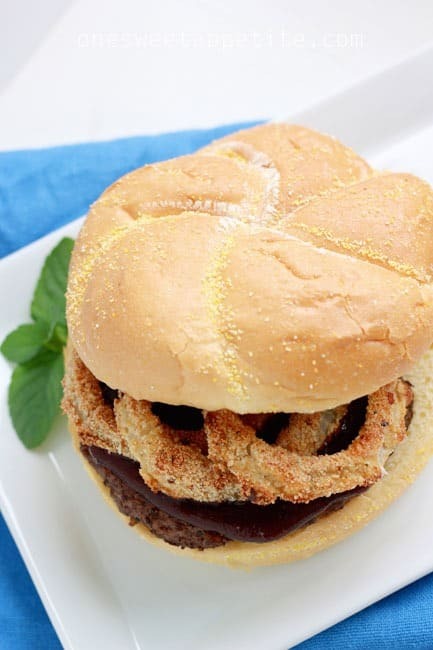 Especially if the onion rings and sauce is homemade (recipe coming soon)! So let’s get down to business. 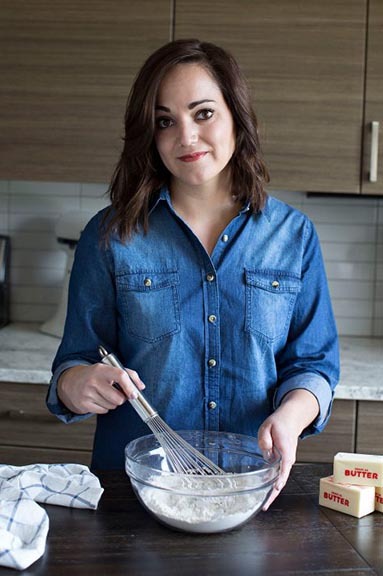 You are here for a recipe. A great recipe. Mix together your meat and bacon. Divide your hamburger into three equal portions and form your patties. BROILER: Place onto a baking tray and broil 5-8 minutes on each side or until cooked to your liking. GRILL: Similar to the broiler, cook 8 minutes on each side or until cooked to your liking. 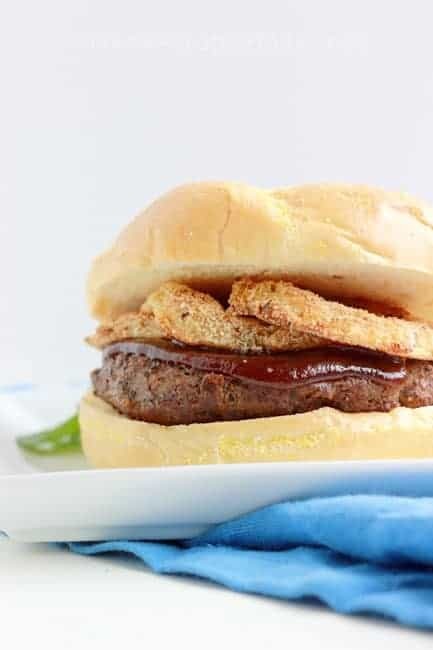 Layer the patty, barbecue sauce, and onion rings onto your buns. Enjoy! There are so many different directions you can go with this. You can try a sweet or spicy sauce to change up the flavor. Maybe add the bacon directly to the top? Toss in a few tomatoes or lettuce?! The combinations go on and on. And if a burger isn’t your cup of tea you can try one of these other barbeque recipes: Pulled Pork Nachos, barbecue chicken pizzas, or Pulled Pork Sandwiches! Tried and tasty has their next burger up too! Hop on over and check out the mushroom burger she has cooking up! 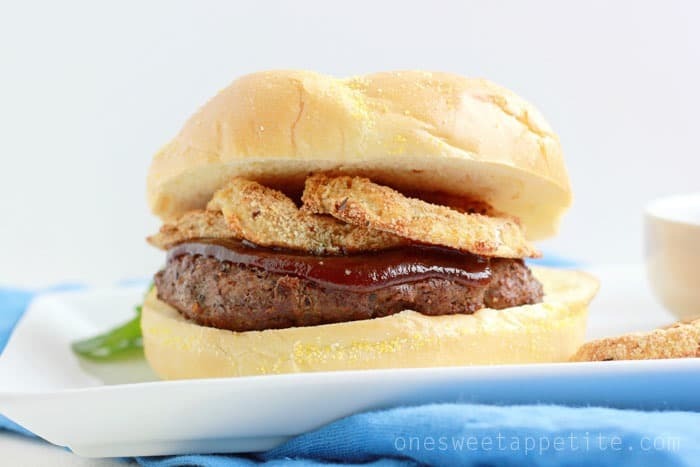 Make sure you keep up with both Tried and Tasty and One Sweet Appetite to see all of the fun burger recipes we have going on! In case you haven’t had a second to check them all out I’ll recap for you! This burger looks amazing. I really think my family may eat burgers for 2 weeks because all of your guys’ burgers look so amazing.